When someone types your business name into Google, you want the little profile that shows up to have as high a star rating as possible. Unfortunately, Google reviews can be slow to accrue, meaning that a few one- or two-star reviews will hold a lot of influence over your total star rating for a while. This can hurt your social proof on the most important search engine in the world, so businesses should always respond to and alleviate as many negative reviews as possible. 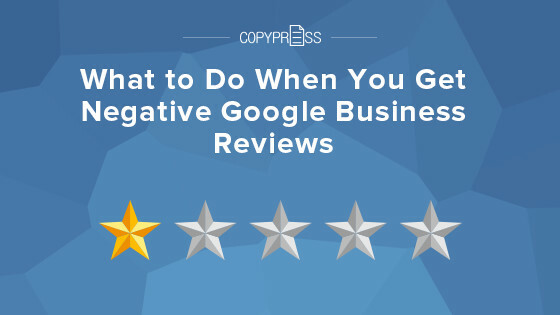 If you’ve gotten some negative Google Business reviews, check out your possible courses of action and how to get the best results. With these tips, it should be easier to handle harsh feedback, get that star rating up, and grow as a business. Sometimes negative reviews are used as a weapon instead of an honest opinion, whether by unscrupulous competitors, people with a personal vendetta, or just trolls, all posing as customers. Other times, people just make a mistake and review another business on your Google profile. Then there are reviews that post hate speech or personal information, and these can be considered harmful or dangerous. In all of the above cases, the reviews in question can be flagged for violating Google’s review policy. Even if you do flag a review, however, be sure to respond first, and calmly explain your stance. Even if the poster never sees it, a Google team member who investigates the review after you flag it will have a better chance of understanding and agreeing that it should be removed. Also, get a number of people in your business to flag the review, as that gives it higher priority for investigation. It should go without saying, but never use mass flagging to remove a justified review. Remember that Google team members have to look over a review before it’s removed, and they are trained to spot false flagging. If flagging does not succeed, but you know the review does not deserve to stay on your business profile, you can contact Google My Business support to discuss the matter. Legitimate, honest negative reviews from unhappy customers are a much more complicated and challenging matter than illegitimate ones, but not unsolvable. This is where it’s typically best not to fight to get the review removed. Instead, reply with your best professional tone, apologizing for any inconvenience, misunderstanding, etc. that affected the customer’s experience. It’s very important to distance yourself from any anger about the review. 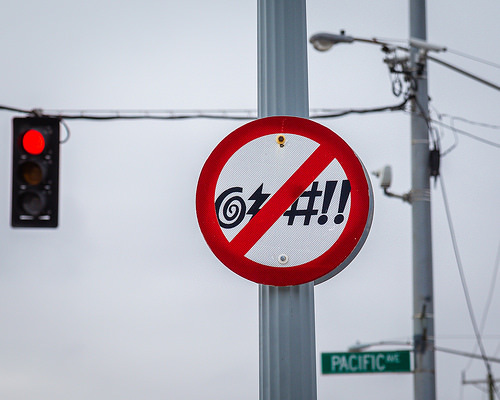 Too often, businesses will respond to negative reviews as if they are vandalism to their property. In reality, most unhappy reviews come from customer service issues that can still be resolved, so respond as if the person is right in front of you, trying to get some help. Before you respond, however, don’t just take the information in the review for granted. Research the matter, such as by speaking with employees who worked with the customer to get their side of the story and any other information that might have been neglected in the customer’s text. When you respond to the customer, remember that it isn’t their job to explain everything, so only ask necessary questions for information you couldn’t get otherwise. Once you’ve done this, be sure to add some contact information, such as an email or phone number, so that you can start a conversation outside of the review. Once you’ve resolved the issue as best you can, ask if the customer is fully satisfied. Only when they confirm that they are should you request that they update their review. Even if responding in a courteous manner and resolving the matter to the best of your ability does not get the review itself changed or removed, don’t worry too much about it. You have shown that even when someone isn’t happy, you will respond with professionalism and seek to resolve the matter. Other search traffic that finds your reviews will take you more seriously because you make an effort to respond to both negative and positive reviews, increasing the chance of more happy customers and good reviews in the future. While it’s important to always seek to contact an unhappy customer and resolve their issue, the fact is that this won’t always be possible. Some people post negative reviews and then never look at that webpage again. But you always have the power to respond, so here are some things that will make your replies to negative feedback more effective. If the customer brought up something legitimately wrong or inadequate with how you do business, and you find that it’s true, acknowledge it and explain your current plans to change, or the ways that you already have. Keep the response long enough so that it doesn’t appear curt or indifferent, but not so long that it might overwhelm the reviewer. Long walls of text can sometimes be seen as combative or argumentative. Do not offer incentives, such as discount codes, in the text of your reply. For one thing, those codes should be given in a more private medium, like email, where they can’t be taken and used by someone else. Beyond that, if you toss them at the customer too soon, they can be seen as a band-aid solution for a business that doesn’t really care. Always thank the reviewer, no matter how negative or incorrect they are. Modern online shoppers, especially millennials, all rely heavily on reviews to decide whether to buy from a certain business instead of others, but the vast majority of customers don’t leave a review. Without people sharing their opinions, businesses would have far less exposure, so even a harsh or unfair review, along with a courteous response, is contributing to your success on some small level. Keep these concepts in mind when tackling any troublesome reviews on your Google Business profile. Most of all, if you are looking to improve your ratio of good to bad reviews, keep doing good business and seek out ways to improve, always asking for reviews from your happy customers. Your visibility and marketing efforts pay off a lot more with a high star rating on your Google Business profile, and that comes from regularly requesting reviews and responding professionally to any unhappy or unwarranted ones.